The Government wants to send out a message that the problem with education isn't continual underfunding, it isn't the impact of poverty and unemployment on our communities, it isn't the polarisation caused by league tables and privatisation ... no it's bad teachers. Teachers have got to tackle these arguments head on and refuse to accept the blame for problems which lie outside our control. It's largely down to the dedication and continual efforts of teachers that schools and education are not in much greater difficulties. Of course, Gove has tried to turn that argument around to say that, if we love our jobs so much, we won't mind working longer hours and accepting shorter holidays. But the reality of teachers' lives is that we're already working ridiculous hours in the evenings, weekend and holidays, without any of the paid overtime that many other professionals would be claiming. These hours are just not sustainable, certainly not for anyone with a family. Exhausted staff do not make good teachers either. We owe it to ourselves, our families and the children we teach to refuse to just accept even greater workload. But these excessive demands are being driven by the increasing demands on schools to improve their exam scores and league table positions - or face forced academisation. In turn, Local Authorities are also piling that pressure on schools without providing the support and resources to genuinely help improve and support schools. There are reports of Council Officers setting 'Action Plans' for schools where Senior Management will be judged on their success in getting rid of staff, rather than their ability to provide proper support and staff development. School managements are also pressurised by Ofsted criteria that will put them in the firing line if they aren't seen to "manage underperformance". But those performance criteria are being drawn up ever more harshly so that the dictionary definition of 'satisfactory' is now being rewritten to mean 'not good enough'. An artificial model of learning is imposed where teachers are 'failed' if students aren't seem to progress in a particular lesson - as if learning develops in such a rigid way. Of course every teacher knows that they could always improve what they are doing. Reducing workload and class sizes would always be a benefit - but they're going up, not down. Training and professional development is also getting scarcer - while the demands and initiatives increase. Increasingly, schools are using 'capabiliity' procedures to point the finger at particular individuals. That doesn't mean that there aren't ever teachers who need to improve particular aspects of their teaching - but that's what a proper performance management system is meant to assist with. Instead, teachers are being excessively observed and then, if they are found to be wanting - sometimes on dubious grounds - they are put on 'capability' procedures. They are set targets, observed and pressurised until, too often, without any adequate appeal procedures in place to challenge unfair targets and judgements, they decide they have to walk away and resign. The usual experience is that the teacher receives a series of critical observations with little genuine support and training given to meet targets that have been set. But you don't fatten a pig by measuring and observing it. It takes a tough character to withstand those pressures and that's where the support of a union group is vital. In some cases, where proper coaching, mentoring and support is put in place, it can end happily for all concerned. But that's increasingly a rarity. All this is before Gove's new model 'appraisal and capability' policies are introduced. This will see all limits on the numbers of classroom observations being abolished and strict linking between performance and 'professional standards'. In practice, as union reps are already finding, that means threatening experienced teachers on the Upper Pay Spine that they must achieve 'good' observations rather than just 'satisafctory' ones or face dismissal. With the criteria to be judged as 'good' becoming increasingly hard to meet, this really is a 'bullies charter'. Far from improving education, it will make things worse. Gove - and some managers - might think that having a browbeaten, demoralised and inexperienced staff might be desirable - but what kind of a way is this to run schools? There is a real risk to Equalities as well. Data already suggests that it is older staff and Black staff that are being disproportionately hit by capability procedures. The NUT has already shared casework data with Lewisham indicating our concern. Unfortunately, too many schools and Authorities seems to have fallen into line and accepted their place in this chain of bullying from Government, through Authorities, Headteachers and down to the classroom teachers at the sharp end. 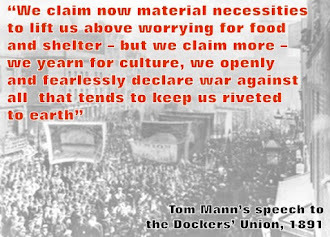 The only real defence is through collective action. Instead of letting individual colleagues be picked off, teachers have to stand together to defend colleagues. With Gove trying to recommend an even harsher set of procedures to schools, unions must work together to demand schools and Local Authorities negotiate and adopt supportive procedures and protocols - and be prepared to take action where they refuse to do so.